Yeah, yeah, we're not supposed to judge a book by its cover, but hey, if you haven't heard of a book or its author, then the first thing that draws you in is the cover... So I just thought I'd talk about the trends I've seen in YA book covers. **I'd also like to point out that while I dislike some of these covers, I have no issues with the books :D.
**Also, there are a lot of exceptions. I just used the examples that first came to my mind. 1. Girl lying down / staring at camera etc. etc. It doesn't really matter what position the girl is in. It's still overused. Unless the position the girl is in tells us something about the story (i.e. the newer covers of Nightshade and Wolfsbane by Andrea Cremer), then I'd really rather see a different type of cover. Something that is more representative of the work (i.e. 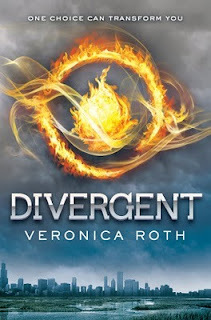 Divergent by Veronica Roth). Don't get me wrong. Sometimes, I think that these covers can be really nice (i.e. old covers of Nightshade and Wolfsbane), but even though they may look good, it's just for kicks. When I first saw The Candidates (Delcroix Academy) by Inara Scott, I was overwhelmed by all the bright colors! I showed the book to my friend and asked her what she thought it was supposed to represent. She saw the whole "psychic" connection deal, but I still don't. The main focus of the book can get lost on the midst of all the fancy effects. There are SOOO many of these. 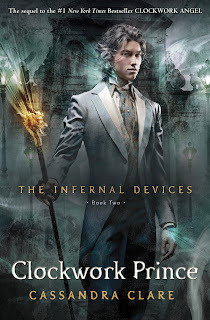 I want to read The Mephisto Covenant by Trinity Faegan but not because of this cover. The colors are nice but another girl in a dress? Entwined by Heather Dixon, the Fallen series by Lauren Kate, Die For Me by Amy Plum, The Vespertine by Saundra Mitchell, etc. Put a girl in an amazing gown and you're making the book not stand out (in my opinion, at least). I like curvy text but up to a certain point. Sometimes it just undermines the effect of the cover. The Beautiful Creatures series by Kami Garcia & Margaret Stohl has southern Gothic elements, which the dark tree and steps of the first two books highlight. However, the curvy text is what really catches your eye, right? It draws too much attention to itself when it tells you nothing about the series. The Gemma Doyle Trilogy by Libba Bray. Really, though? If you're going to feature a person on the cover, please don't hide their face. I know I already wrote that I hated seeing the typical girl poses, but that doesn't mean you should just show only their body and assume that's okay. I get the effect--the whole "it could be any one of us" sort of deal, but Gemma also has a specific description so that effect doesn't work, it can't be any of us! All of the covers just show a corseted girl--while that tells you to expect Victorian England, maybe, that's not the whole focus of the trilogy. Exception: Blue Bloods by Melissa de la Cruz. Because 1. vampire bite, 2. pearl necklace and the whole glitz and glam of the series, 3. the city (like #2). 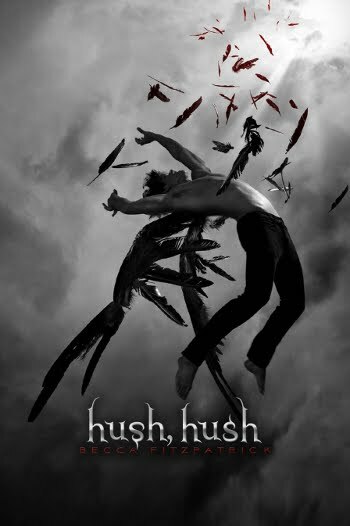 I think this cover is a pretty good representation of the book. What does showing half a person's face really tell you? Or just the girl's body (like #5)? Examples: The Vampire Diaries by L.J. Smith, Shadowland (Immortals #3) by Allyson Noel, 13 Little Blue Envelopes by Maureen Johnson, etc. And so... here are examples of covers that I really love / that I think are perfect for their books! 1. The colors. Black and white are really emblematic in my book of thrillers and cold, hard facts. Also, in Crescendo, the black and white could be hinting at Nora's dreams. 2. Fallen angel. Paranormal? Yep. 3. Boy on cover. Romance? Yep. 4. Red as the only other color used. Blood? Yep. 1. The colors are like floating in the crypto fluid. 3. Elder's fascination with her. Together 2&3 can hint at the multiple POVs. 4. There is another cover for Elder (if you flip the regular one, that is), and it's very factual and confining in that it shows only the ship and its layers, which is pretty much all that Elder knows. 1. 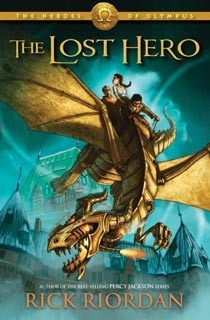 A very specific scene from the book is portrayed on this cover. 2. Shows the three main characters, hinting perhaps at the multiple POVs. 3. Shows one of the character's abilities / hints at a magical aspect. 4. Greek mythology with the Omega coin (and the title). 1. Sophie's maturation & the way the covers reflect that. 2. Black cat & witch deal. Plus the ponds and the magical transformations. 3. The innocent but humorous expression (and dorky uniform) of Hex Hall vs. the shocked but much sadder perspective from Demonglass. 1. Specific character in full. 2. 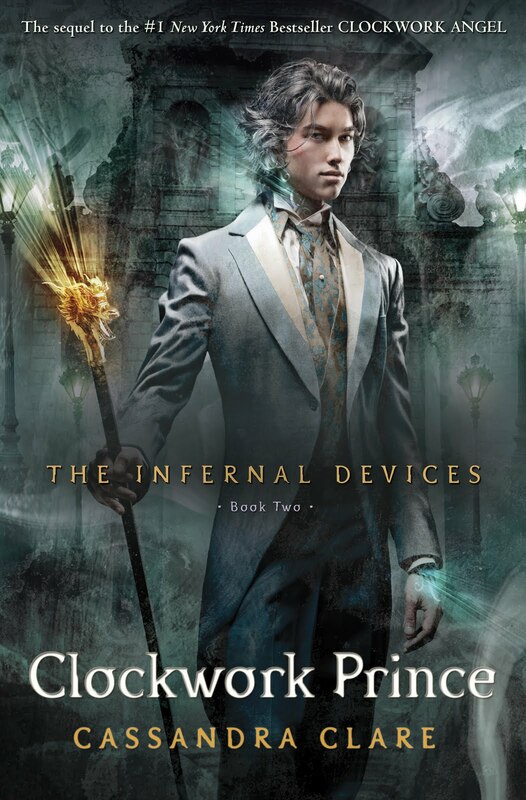 The dragon cane - Jem's background, perhaps also hinting towards Jem's disability and how he can't overwork himself. 3. Elements of Victorian apparel. I actually think this cover is a tad bland, but I think it's perfect for Divergent in that it's actually representative of things from the book (Dauntless fire, Chicago landscape, stormy/challenging feel to it). What are your favorite covers? Do you like any of these trends / want to see more of them? Did I miss some? Are there other things that irk you? Another one that I've noticed is there are a ton of red heads lately on covers: Fury, Everblue, Imaginary Girls, Sleight, and I'm sure there's many more. Also, water has been a big trend lately: Hereafter, The Becoming of Mara Dyer, Imaginary Girls, etc. Some of my favorites have been Wither, Tris & Izzie (red head+water), Sisters Red, & Sweetly. Ooh, covers. 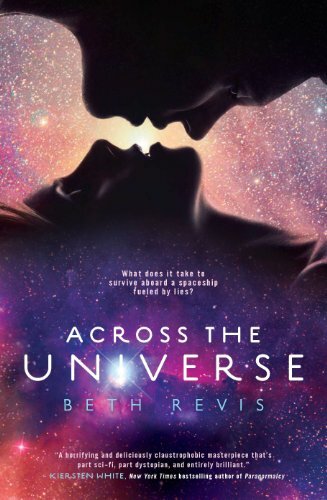 While I didn't love Across the Universe, the cover is stunning. Others I loved: Wither, Entwined, Between Two Ends (so clever! ), The Night Circus, Imaginary Girls...so many. I'm really picky, but a good cover will have me pick up a book any time. Even a good spine - like WIther. 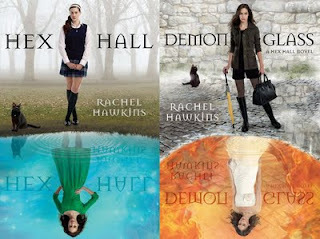 If you dislike Gemma Doyle covers....then check out the Australian and possibly UK I think paperbacks...hideous. I also like the covers for Wither, Tris & Izzie, and Imaginary Girls. @Braiden - I'm not sure which ones are supposed to be the Australian covers. There are so many editions of it listed on Goodreads and most of them have the same US covers... Is this the Australian set? http://www.goodreads.com/book/show/8456651-a-great-and-terrible-beauty ... or did they just change the cover for the paperback version? You hit the nail on the head with every one of these. I love a beautiful dress on a cover, but I am honestly tired of it. And I hate that, most of the time, it literally has Zilch to do with the story. Another thing that really ticks me off is the cover model not matching the MC in any. Way. Whatsoever!!! Come on, how hard is it to find a model that at least mimics the MC. And most important of all, for me, is the same as one of the things you have already stated. I want to read a story, and figure out the cover because of it. I want the cover to fit the book! Another thing that cannot be that hard for all of the talented cover artists there are!